Spread each piece of focaccia with a light coating of mayo - you just want enough so the ingredients stick! Remove red pepper from jar and pat lightly with a paper towel. 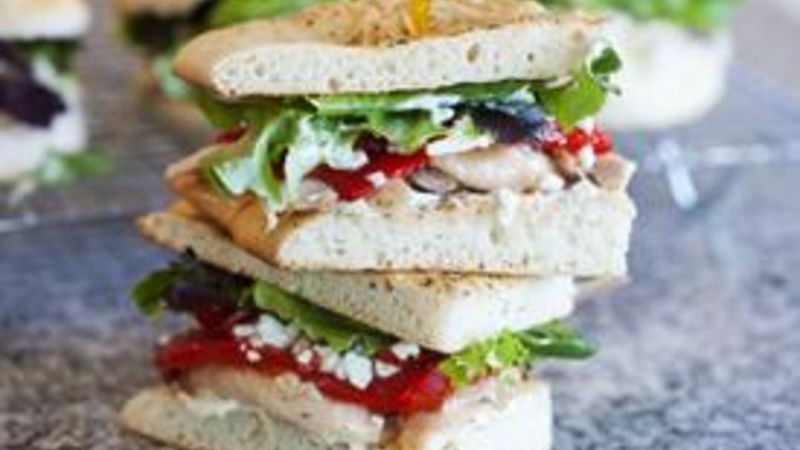 Layer chicken, red pepper, feta, cherry tomatoes, and greens on a piece of focaccia. Top with the second piece of focaccia.